Following on from recent high profile commissions (including The Capital building, Liverpool and Broadcasting Place, Leeds), Liverpool developer Downing, has recently commissioned Formby Surveys to survey the basement, lower ground and ground floor of No.1 Old Hall Street in Liverpool which is situated in one of Liverpool’s prime business locations in the city’s thriving commercial district. 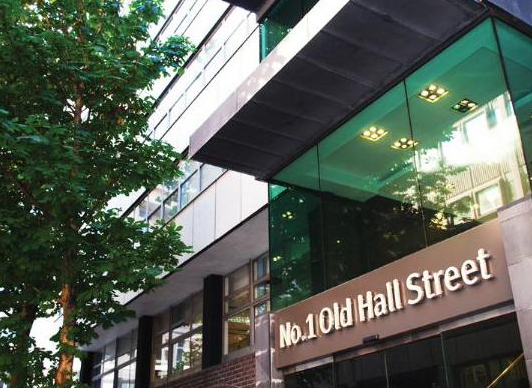 No 1 Old Hall Street is best known as the home to Liverpool Chamber of Commerce (of which FSL are a member company) and is one of the most recognisable business addresses in Liverpool, with additional high profile tenants including Begbies Traynor and Baker Tilly. The survey included the basement area which is primarilty allocated to car parking and the lower ground floor areas which are home to retail and leisure tenants. The upper ground floor houses the building’s main reception and the Chamber of Commerce’s “Member Chamber” together with some administration and training offices. The brief was to provide accurate floor plan detail and layouts for the dual purpose of area calculations and any future refurbishment requirements and was undertaken using our bespoke measured building survey software which provides an on-site “self-checking” process allowing common issues associated with this type of measurement surveying to be identified and corrected whilst on site. This eradicates the timely and inefficient method of trying to solve any problems during the office processing of the data, leading to improved field and office efficiencies. This, in turn, can be passed on to our client base as through reduced time frames and improved data collection, therefore adding value at no extra cost to either party.